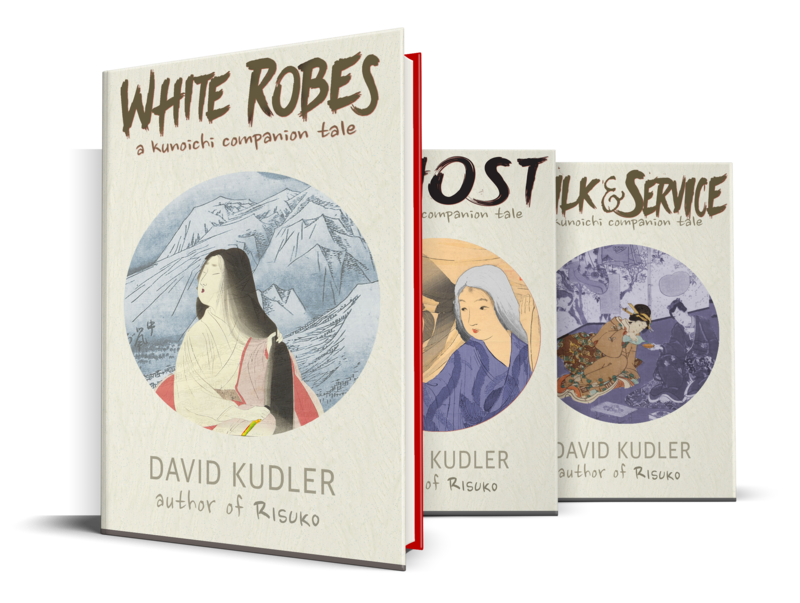 Risuko is a teen historical adventure novel by David Kudler. Set during the Japanese Civil War era (Sengoku Jidai), the book follows the adventures of a young girl called Squirrel (Risuko) who is taken away from her family and thrust into a plot that may reunite Japan — or may destroy it. David Kudler is an author and editor living just north of the Golden Gate Bridge with his wife, actor/teacher/author Maura Vaughn, their author-to-be daughters, and their (apparently) non-literary cats. He is the founder, publisher, and editor-in-chief for Stillpoint Digital Press. Since 1999, he has overseen the publications program of the Joseph Campbell Foundation, for which he has edited three posthumous volumes of Campbell’s previously unpublished work (Pathways to Bliss, Myths of Light and Sake & Satori) and managed the publication of over fifty print, ebook, print, audio, and video titles, including the third edition of the seminal Hero with a Thousand Faces. He is honored to serve as the vice-president for the Bay Area Independent Publisher’s Association (BAIPA). His children’s picture book The Seven Gods of Luck (Illustrated by Linda Finch) was published by Houghton Mifflin in 1997. Based on an old Japanese folktale about a young girl and boy who are rewarded for their generosity. The New York Times called The Seven Gods of Luck “a sweetly illustrated retelling,” while School Library Journal extolled the “well-paced, carefully plotted text,” calling it “a lively adaptation.” The book was reissued in 2012 by Stillpoint Digital Press as the first title in the Winter Tales series. 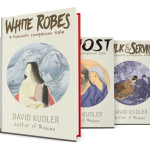 With wife Maura Vaughn, Kudler has adapted two other folktales as part of the series: Shlomo Travels to Warsaw and How Raven Brought Back the Light. 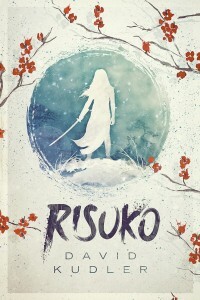 Risuko, his young-adult historical adventure novel, was released in June, 2016. Set in sixteenth century Japan, Risuko follows the adventures of a young woman pulled into a plot that may reunite a war-torn Japan — or may destroy it. 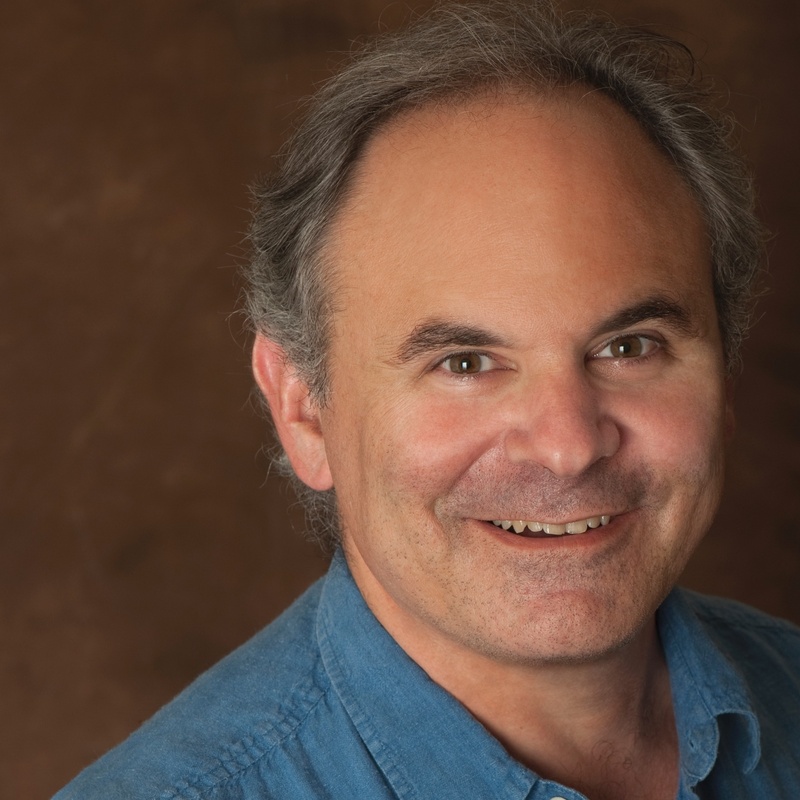 He is currently working on Bright Eyes, the second book in the Seasons of the Sword series. This book is AMAZING! The plot is interesting, the characters are interesting, just EVERYTHING was great.—Melody A. What was your inspiration to write Risuko? Some years ago, I was leafing through an old issue of New Moon, a magazine of my daughters’, and came across an article titled “Killer Accessories.” Very briefly, it told the story of a Japanese noblewoman, a war widow by the name of Mochizuki Chiyome, who had trained a group of women called kunoichi during the period in Japanese history known as Sengoku Jidai — the Civil War era that lasted from 1467 to 1603 (by the Western calendar). The article described how, under the pretense of running a school for shrine maidens, Lady Chiyome built a small army of “dangerous flowers.” It showed an assortment of the kunoichi’s specialized weapons — fans with knife blades, fake fingernails with poisoned tips, reinforced parasols that could be used as shields — and finally said that Lady Chiyome’s army had faded into obscurity after the death of their patron, Takeda Shingen. Well, I thought, there’s a story that has to be written! And I started to do research, and I started to think about how to bring this story — and the amazing, awful period during which it took place — to life. The other main spark was my youngest daughter, who liked to leap before looking. One day when she was about four, I was watching her in a playground. She was playing with her friend Lucas, some wild, two-person game of tag. We heard a call from above us. They were way up a small pine tree on the edge of the playground. Waving. Now, I have what the late Sir Terry Pratchett called “a great respect for depths.” When my heart had dislodged itself from my throat, I asked Julia and Lucas to come down as carefully as they could. A few weeks later, I wrote the first draft of what is now the first chapter of the book. The girl up in the pine tree didn’t have a name, and I didn’t know where the story was going. That would take a long, long time. But I knew that she was going to be a kunoichi. Many. It’s a young-adult/middle-grade historical adventure novel. That’s four right there, right? It’s also a coming-of-age story, as well as being a variation on the boarding-school genre. Maybe I’ll get pirates in there somewhere. And kunoichi are sort of like ninjas. Only not. Why couldn’t historical fiction be as engaging and exciting as fantasy? Why aren’t the protagonists girls? Interesting question. I wrote the first chapter, then did whole bunch of historical research — it’s one thing to have an interest in a period and quite another to write a historical novel set in that period. After a couple of months, I felt as if I had a pretty good sense of what I needed to know for the purposes of my story. (It was tough, however, finding accurate information about the daily lives of people in sixteenth century Japan; huge battles, sure, but not what they ate!) I threw together a pretty sketchy outline of the story and began plowing away at the opening chapters. I knew where I wanted the story to go, but couldn’t see exactly how to get Risuko and Co. there. I put the book aside for a bit. Then I got involved in a huge editing project, and suddenly four years had passed since I had looked at the manuscript. Four years! I opened the file, looked at the outline, and realized two things: first of all, my outline was actually for a three- or perhaps four-novel series, and second, I finally knew how to get Risuko back to where she needed to be. I started work again, got bogged down… But Brenda and Donal Brown, friends to whom I’d given the opening chapters, kept asking me to how it turned out. Asking very persistently. I offered to give them the outline, but no — they would only be satisfied with a finished draft. Well, then, a finished draft I would give them! I finally completed the first draft o Risuko nearly eight years after I read that article that sparked the idea. I began the process of revision, and in the mean time the Browns (who deserve some sort of medal for this among a million other acts) passed the manuscript along to a neighbor, Danielle Svetcov, who happened to be a literary agent. She signed the book that summer, and I’ve been revising ever since. I rewrote the opening chapter a half a dozen times, eliminated a number of secondary characters who didn’t add anything, cut the first third of the book in half — and then added a new subplot in. Whew! Writing is hard, but rewriting is harder. Why are you so interested in Japan? I grew up in California in a house full of Japan. My parents had lived in northern Japan for three years before I was born, and so when I was a child I read Japanese stories, and my brother and I even celebrated Japanese holidays like Boys’ Day (May 5). There was Japanese art and craftwork throughout our home, including, on the wall of our living room, a set of seven small, hand-carved wooden masks: the Seven Gods of Luck. My father was a big fan of Westerns, but an even bigger fan of samurai epics like The Seven Samurai (on which The Magnificent Seven was based), Rashomon, Throne of Blood (a retelling of Macbeth), and Kagemusha (which features a character based on Takeda Shingen). Other kids on my street wanted to be cowboys; I wanted to be Toshiro Mifune. I’ve always been fascinated by the Sengoku Era, and I’m not alone. There’s a reason that there are so many movies and books set during this period. It occupies a similar spot in Japan’s imagination that the Old West does in America—a time when life was horrifically hard, but anything was possible. Before that time, Japan had been run more or less smoothly by a series of warlords (shōgun) since the twelfth century (the time of the original Lady Murasaki, author of what has been called the world’s first true novel, The Tale of Genji). The warlord ruled the nation on behalf of the emperor, often from the imperial city, Kyōto, but sometimes from other cities, such as Kamakura. Now, a teacher of mine liked to point out that good marriages make bad stories. I think you could say that peaceful times make boring history—not a bad thing for the people living through them, but much less interesting for those of us looking back. It’s a good thing, then, for people like me that in the late fifteenth century a series of natural disasters (earthquakes, famine, etc. ), combined with weak leadership by the Ashikaga shoguns, led the lords of Japan’s provinces to rebel. For the next a hundred years and more—starting at around the same time as the English Wars of the Roses and ending just before the establishment of the Jamestown colony in Virginia—groups of Japanese lords fought to unite the nation behind one or another of their number. Whenever one of the alliances seemed poised to bring the empire under its control, one or more of the allies would split off, unite with lords from the opposition, and the cycle of violence would start again. A map of the country would indeed have looked very much like Lady Chiyome’s in the book: a war of swirling colors marking shifting allegiances. For myself, the answer is perhaps, and if not, they should have. During the time in which this book is set, an alliance led by Oda Nobunaga had come close to achieving unification of the country. Takeda Shingen and Matsudaira Motayasu (who would later be known by quite a different name) were among his chief allies. We have records of huge battles involving tens of thousands of soldiers. We know there were spies and assassins. Doesn’t it seem likely that at least some of those involved were female? Today, most countries have women serving proudly in their military forces. History is full of stories of women who have served—and served well—as soldiers, either disguised as men, or, rarely, in the open. When I was young, I loved the ancient Greek tales of the legendary Amazons, the fiercest of the foes, but not all of the stories are myths. Boudica, a British queen, led troops against the Roman legions, while Joan of Arc led a French army against the English during the Hundred Years War. During the American Civil War, we have records of hundreds of women soldiers serving (and dying) in the armies of both the Union and the Confederacy. Wars affected women as much as men; it makes sense that women would seek to participate, to help determine their outcome. In most cultures, however, women were seen as weaker and gentler; they were forbidden from dressing as men (on pain of death in many countries—Japan among them), and they were forbidden from fighting openly. It makes perfect sense that a widow like Mochizuki Chiyome would have sought a way to help end the chaos and bloodshed that had gripped Japan for over a century by using the tools that she had at hand. It makes sense that she would see in the girls orphaned by a century of war the opportunity to build an army unlike any that had marched across Japan’s blood-soaked hills and fields. There’s another reason that this period fascinates me and so many others: Japanese society had been (and would later once more be) remarkably rigid, binding each individual to the traditional role of his or her class, clan, and gender. After a hundred years of war and upheaval, men and women were no longer as tightly bound; they could change their circumstances in life through their own abilities. Though duty and family honor remained the most powerful forces in Japanese society, the daughter of a shamed samurai, for example, might indeed act to regain her family’s honor. So, to return to the opening question: Where the kunoichi real? Again, I answer: Yes. No. Maybe. But whether an army of women spies, bodyguards and assassins dressed as shrine maidens truly wandered across Sengoku-era Japan, the conditions for such a force existed. And that’s the world in which Risuko’s tale unfolds.